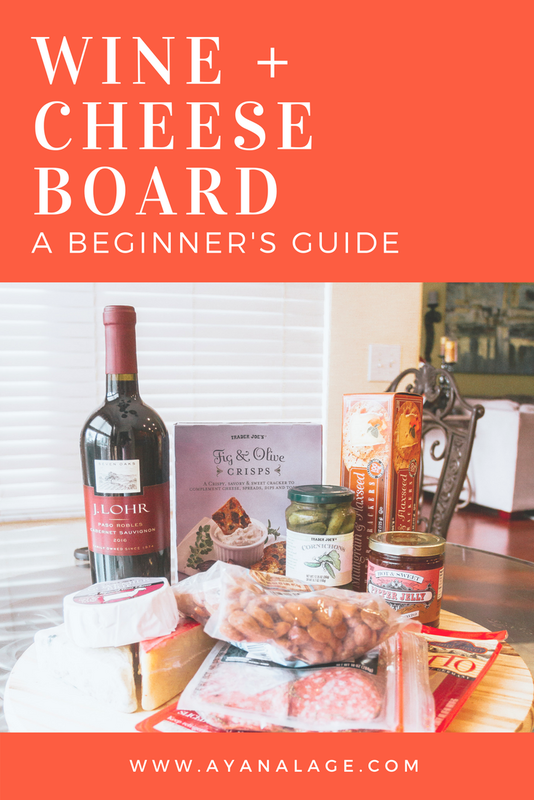 I’ve wanted to make a wine and cheese board but it always seemed so difficult. 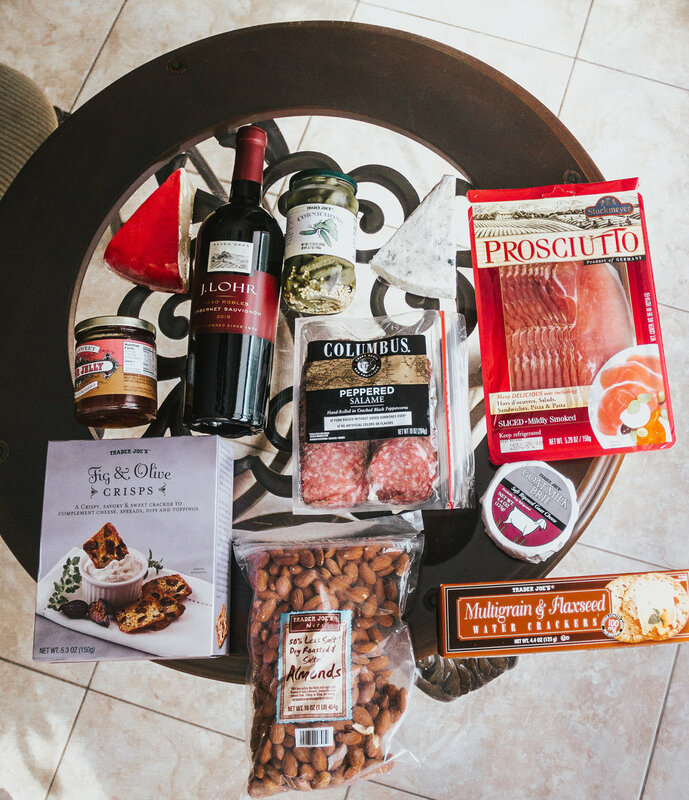 But when I tried a bottle of J. Lohr Estates Seven Oaks Cabernet Sauvignon, I knew I had to at least attempt to create an attractive charcuterie board to pair with it. The great thing about a wine and cheese board is that it’s versatile. Whether you’re having a cozy night with someone you love or a birthday party for a friend, you can scale the recipe up or down to meet your needs. 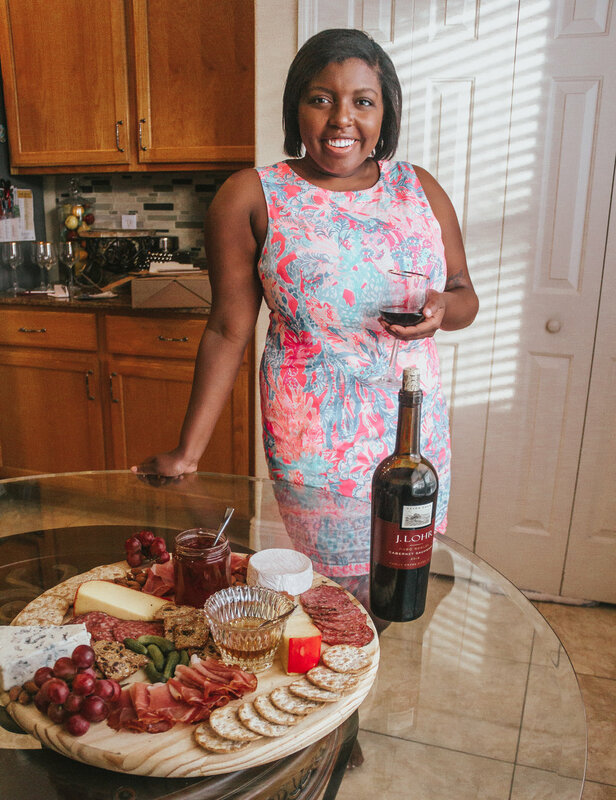 My little sister loves charcuterie, so she was kind enough to help me prepare my cheese board! I bought all of my meat and cheese with her help, and she helped me arrange it to look Instagram-worthy. And my sweet friend Laura lended me a cheese board, which helped make the presentation look even better! We started with the cheeses. Once we unwrapped them, we arranged them on the board pretty haphazardly. The best thing about this is that there’s no wrong way to do it — everyone loves wine and cheese! 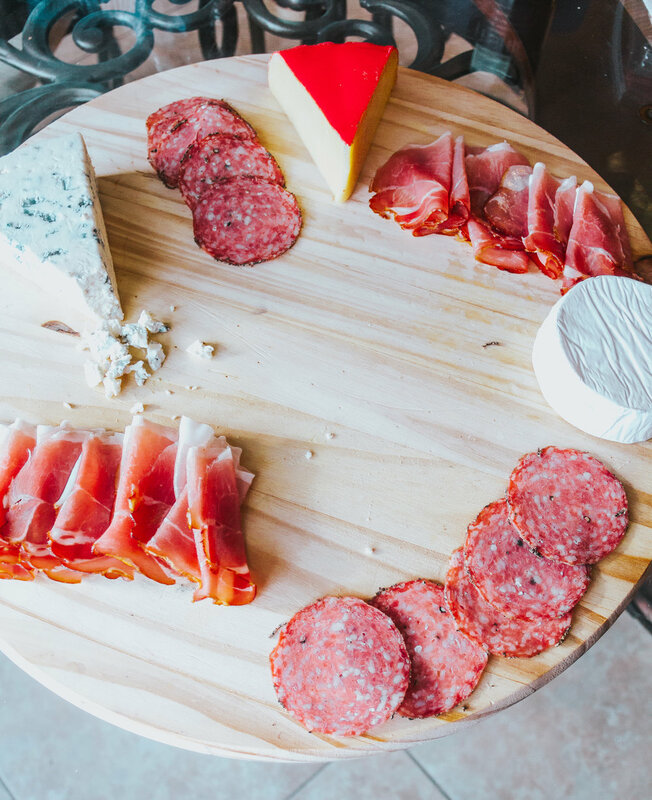 Once we were finished laying out the goat milk brie cheese, gouda, and gorgonzola, we decided to add meats next. 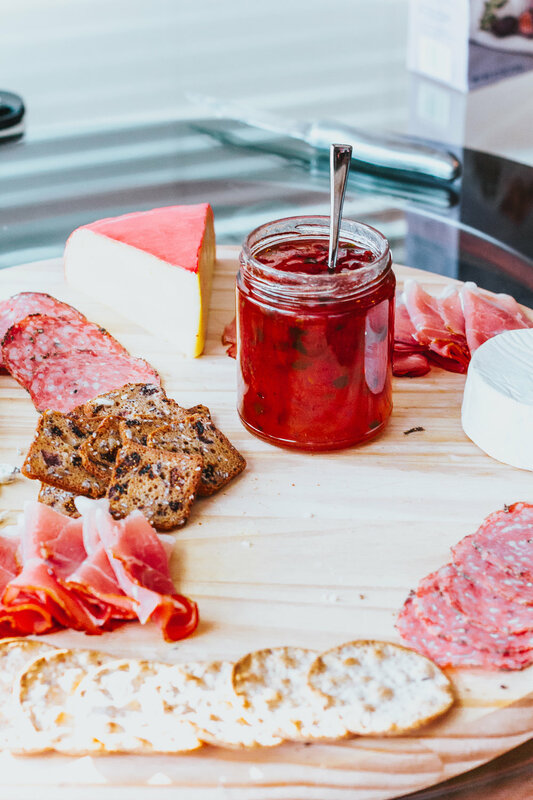 It’s up to you how much meat you want on your charcuterie board, and it’s important to know your guests. Will you have a fair amount of vegetarian or vegan attendees? If so, you’ll definitely want to rely less on traditional meat and cheeses and go for vegan options. Once we got the essentials on the board, it was time to add our spreads and bread! I was so conflicted over which jams or preserves to add, so I just picked up something savory that would contrast well with the sweetness of the crisps we used. The hot pepper jelly I found was a total hit with our guests, so don’t be afraid to get adventurous! We also included honey just to add more options. For our crackers, I picked two options. Fig and olive crisps were the perfect amount of sweetness for the flavor of the super flavorful cheeses like the gorgonzola, while water crackers allowed us to enjoy the subtle flavor of the brie. Once you have your crackers, meats, and spreads, the fun really begins! 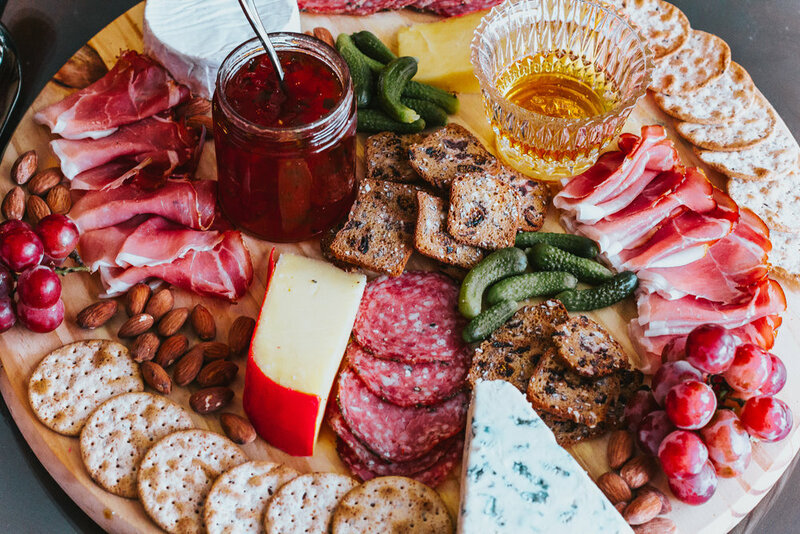 Almonds, gherkins, and grapes are basically cheese board eye candy. 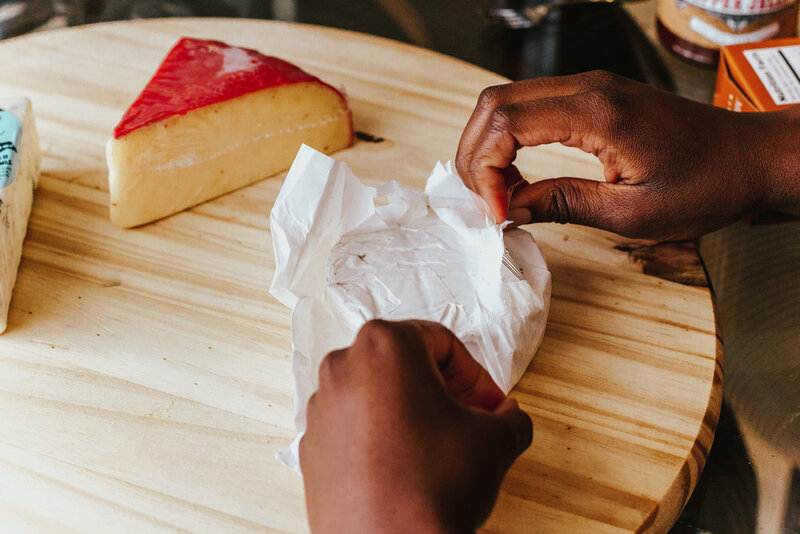 They add so much tastiness to the final product, but they also fill up any negative space and make it easy to produce a cheese board that will seriously awe your friends. And to top it all off, we paired it with the J. Lohr Estates Seven Oaks Cabernet Sauvignon I mentioned earlier. 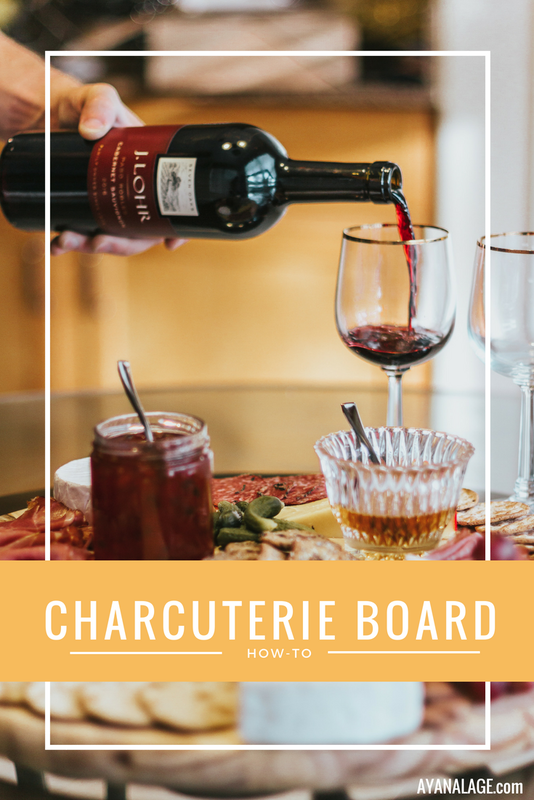 It’s seriously so good — the flavor profile is cherry, cocoa powder and intense black currant, which makes it the perfect wine for a charcuterie board. What’s your favorite recipe for summer parties? I’m all ears!